Seagate® Game Drive for PlayStation is a 1TB internal hybrid drive upgrading the stock hard drive in your PS3 or PS4. Store 25+ PlayStation games and enjoy noticeably faster system boot and game play performance. Simple installation and easy configuration gets you up and playing fast. The Game Drive for PlayStation integrates NAND flash storage with a hard drive, giving you the performance of SSD and the massive capacity of an HDD. Upgrade your console’s internal drive with the Seagate Game Drive for more action, less waiting. With 1TB on your PlayStation 3 or 4, you can save the galaxy - and all the games that are worth keeping. With space to store 25+ games1 - or a massive multimedia library - you won’t have to delete games to make room for new ones. 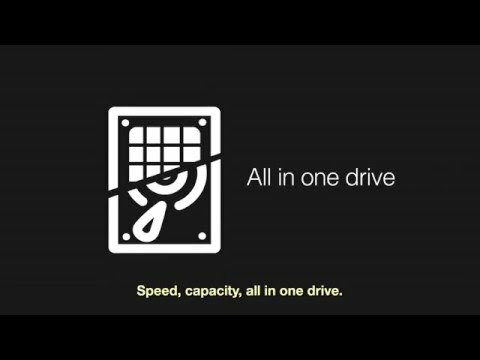 To co-op the drive’s capacity, the flash SSD component in the hybrid drive reduces system boot and game load times. Seagate Adaptive Memory™ technology even optimises drive performance over time as it learns your gaming behaviour. On PS3 or PS4, it’s easy to follow Sony’s instructions for installing the Seagate Game Drive - without voiding your warranty.2 Simply remove the factory drive, install the Game Drive, then copy over your games and save data. So power up, and jump ahead of your opponents.